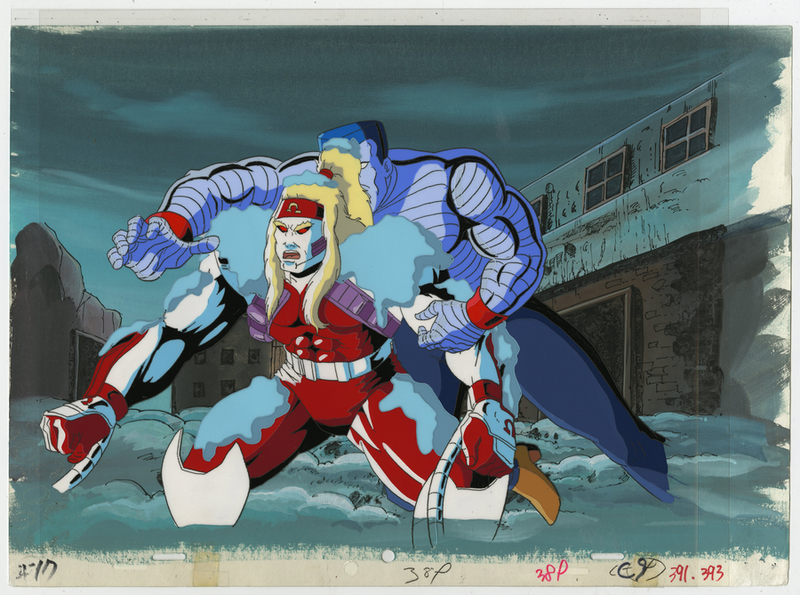 This is an original cel and background set-up from the Marvel Studios production of the X-Men The Animated Series episode, Red Dawn. 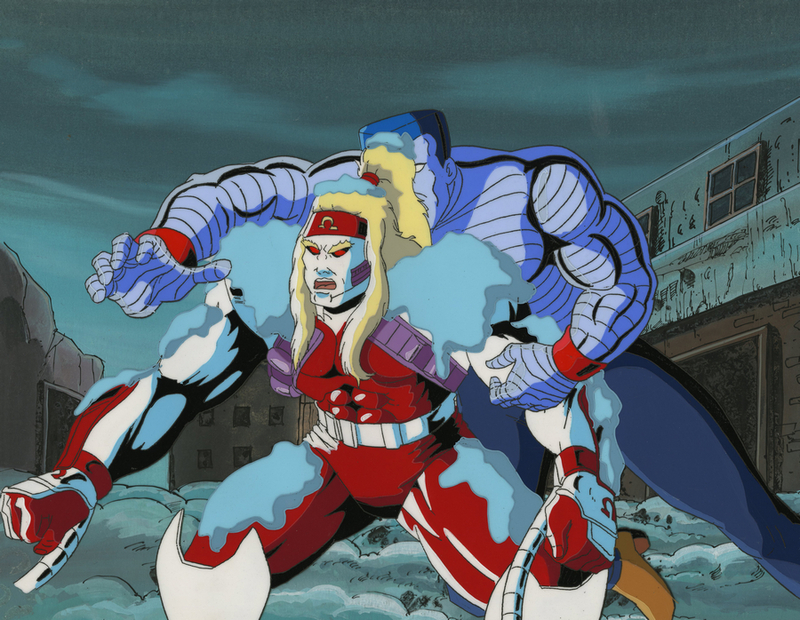 This setup features a key matching image of Colossus and Omega Red battling in Russia, and was created at the studio and used during production. 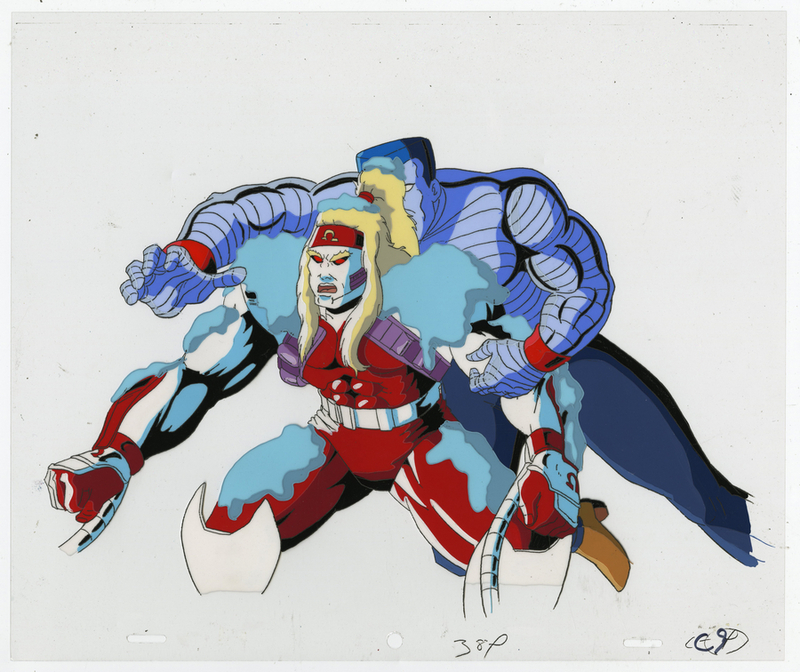 The overall measurements of the piece are 10.5" x 14.25" and the image itself measures 8.5" x 11.5". 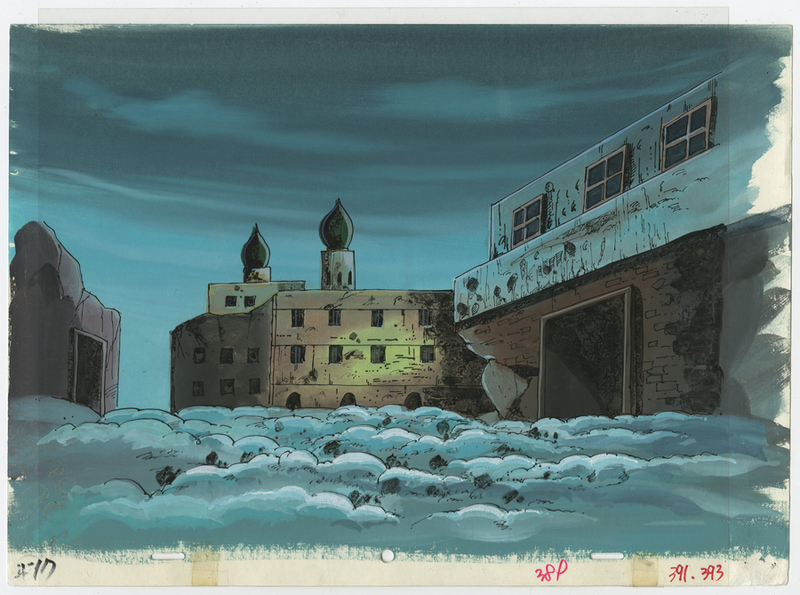 The piece is in very good condition.